“Which homes for sale near West Creek Academy – Valencia, CA would mean my children could attend this very high and top scoring school?” Please scroll down for school information and West Creek Academy website. This is one of the most important of many questions parents ask when beginning their search for homes for sale near West Creek Academy Valencia , CA. The school is located within the Saugus Union School District. It is both disappointing, and a waste of precious time if you find homes for sale near West CreekAcademy you love, and believe that your child can attend, only to find out it is not within the schools attendance boundaries. Look without wasting your time. 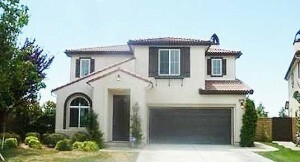 All homes for sale near West Creek Academy Valencia CA(link to page on web site). Page is constantly updated and includes homes in areas of Valencia CA. Please be aware that boundaries can change. Before making your final decision on your home, please contact the school district for final verification. Many of the Valencia homes have beautiful views over Santa Clarita CA and have the Valencia paseo system weaving between neighborhoods and recreation areas. There are good reasons to look for homes for sale near West Creek Academy. Click here for school website. cultures and classrooms. Foreign language, a secondary focus will further support the relationships made through music. child’s Pathway to the Arts and Gateway to the World! Click here for West Creek Academy ranking and test scores.